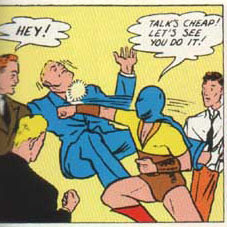 The Atom says, "Don't just stand there!" Did anybody actually call him the Pint-Sized Pugilist? Because it's kinda catchy.